Is the Toyota Hybrid the Right Vehicle for You? If you ever wanted to own a Toyota hybrid, now is a good time to buy. There are many benefits associated with hybrids with the main one being they’re eco-friendly. The need to preserve the earth’s resources has become very clear, so hybrids are becoming more and more popular ever year. These vehicles are just as efficient as traditional ones and there are several elegant styles to choose from, so it’s easy to find one to suit your taste. The more you know about Toyota hybrids, the easier it is for you to see why so many drivers choose them over traditional all gasoline engine vehicles. They’re the perfect solution for those who want to do all they can to help the environment but owning an all-electric vehicle is not practical for their lifestyle. Many people overlook the hybrid because they don’t really understand how they work. If you haven’t looked at one lately, now is a good time to see how they’ve changed over the years. Technology has greatly improved the design of these vehicles and you need to understand how they work before you can make an informed decision as to whether or not the hybrid is the right vehicle for you. They are designed with both an electric motor and a gasoline engine, so you never have to worry about being stranded somewhere with no way to recharge the vehicle. You can simply switch over to the gasoline engine and continue to your destination. The modern technology that goes into these vehicles is amazing and it’s what makes them so special. The technology used in hybrids has changed drastically over the years, advancing the auto industry a great deal. The regenerative braking system could very well be the most impressive. When you apply the brakes, it puts resistance on the drivetrain to slow down the vehicle. The energy this action creates is normally wasted but this innovated braking system sends this energy to the motor making it turn. The motor then responds in much the same way a generator works and it converts the energy into electricity and stores it in the battery. Simply put, everytime you put on the brakes, you’re charging the battery to run the electric motor. The electric motor can also give the vehicle a boost when passing other vehicles or climbing hills, which means that manufacturers can use smaller gasoline engines in these vehicles to make them more fuel-efficient. Most of the newer models also have automatic start and shutoff systems that will cut the engine off when you’re idling at a stop light to reduce energy waste that occurs when a vehicle is sitting still. 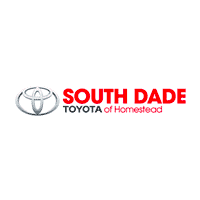 If you still have questions about the Toyota Hybrid, visit your Toyota dealership in Miami Florida. The dealer will be happy to go over all of the details surrounding these vehicles with you and to show you their great collection of hybrids. You may be a little amazed at how much these vehicles have advanced over the last few years. Contact us today with any questions or concerns. 0 comment(s) so far on Is the Toyota Hybrid the Right Vehicle for You?